A bit of citizen action has helped prevent the furthering of some disruptive and dangerous demolition in Wilmington, MA recently. It’s not atypical for demolition projects to occur, but for neighbors to be the flag raisers at the first signs of improper handling of hazardous materials, is a unique scenario. That’s what happened at 13 Muse Avenue, when an old house, built more than 100 years ago, was demolished. After neighbors submitted complaints to officials at the Massachusetts Department of Environmental Protection (MassDEP) and the Town of Wilmington that rules that regulate proper asbestos removal weren’t being followed, MassDEP ordered the work to be halted. State and federal rules require a work stoppage as soon as asbestos is discovered at a site until a plan for its safe removal can be drafted. It was found that the siding of the home contained asbestos. The town received the demolition permit the day before the complaint was filed by a resident about the improper asbestos removal. Several days later, the contractor met with MassDEP, which approved the asbestos removal plan. However, once work continued, neighbors remained concerned with the contractor’s practices, attending the Select Board meeting to voice their apprehension. 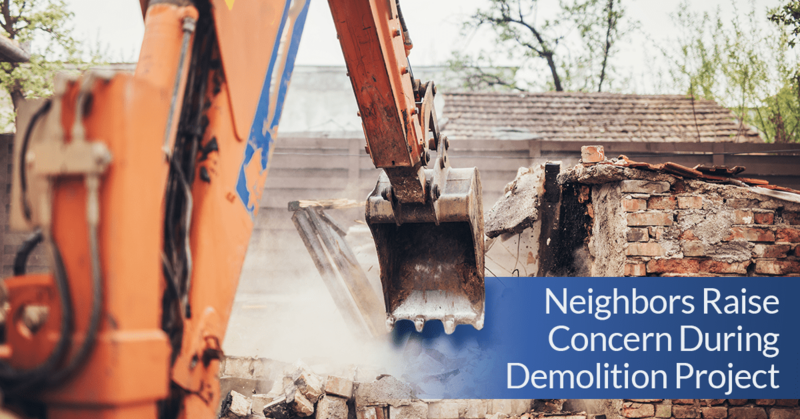 One neighbor, Dave Norton, was particularly worried about his granddaughter and his neighbors after the demolition triggered a cloud of asbestos dust. “I just was infuriated that the town would allow this to happen,” Norton said. Thankfully, the complaints helped MassDEP order the contractor to be removed from the project, but not after the damage had been done. Now, a state-approved firm has been brought in to remove the known carcinogenic materials. The town admits that the contractor initially took zero steps to contain the cancer-causing dust. “It seems to me that the gentleman was expecting that he would be able to just do the work, nobody would make an issue about it and he would save a little money,” the Wilmington town manager said. Relying solely on “good-faith,” the town has admitted that its regulations made no requirement for contractors to require proof of how they’d handle asbestos removal safely. However, this instance has sparked change at the municipal level, with specific language now being drafted that would mandate contractors to submit to the town a game plan for handling asbestos. The town has formally apologized to residents and says the contractor is likely to face both local and state fines. Banner Environmental Services is a licensed contractor in both Massachusetts and Rhode Island. If you have an environmental project, contact us for your free estimate today, and should you want references, simply let us know and we will be happy to provide them. We recently performed a routine environmental assessment in a residence for potential new buyers. The buyers really appreciated our customer service and attention to detail in our office and the expertise and professionalism from the team on-site too. Kym Mahoney, our Client Relations Manager, led the customer through the process from inquiry to results, and oversaw the entire experience. Kym works in our Avon office and manages scheduling appointments, handling collections, applying for any necessary permits and/or completing applications with the State. I want you to know that your team really made a difference in our lives today and we could not have gotten through it without your immediate response and your personal attention to caring about and acknowledging the painful experiences connected with the inspection outcomes. We thought this would be our new home and now we are moving to a better place and have you to thank for all your information provided. We want customers to feel that they have had a terrific experience from setting up their first appointment to receiving their closing paperwork, and are pleased that we could leave this client feeling assured of the process and results. 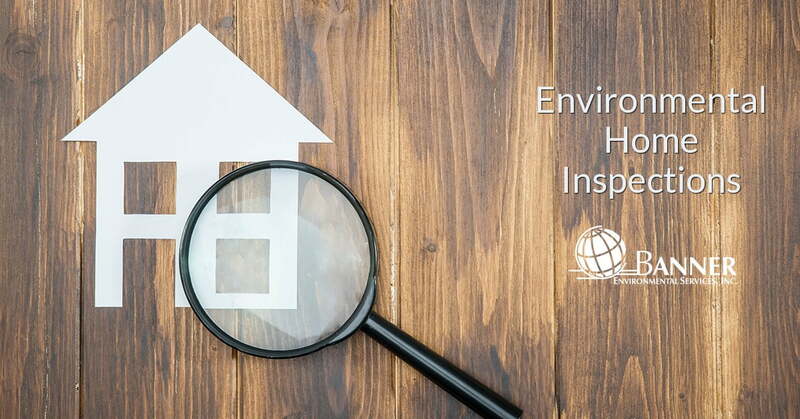 If you need more information on our residential environmental inspection services, contact us today. In case you missed it, we recently shared a recap on the project that focused on bringing life back to the Cornell Mill in Fall River. The mill, built in the 1800’s, is a 192,000 sq foot old cotton mill which operated until the Depression. By July of next year, the Mill will be restored into beautiful one and two-bedroom apartments by Starr Development. Banner Environmental Services worked with Starr Development to provide asbestos abatement and interior demolition services. The flooring and beams which were dismantled were set to be reclaimed throughout the building and the remainder of the salvaged wood set aside for other restoration projects Starr takes on in the future. As part of the overall project, Banner also removed asbestos containing window glaze in preparation for new window installations. A special shout out and thank you for the kind words, but more so for the opportunity to be a part of such a prestigious project! We too are anxious to see the final restoration! To stay in the loop on our latest projects, be sure to follow us on Facebook here. 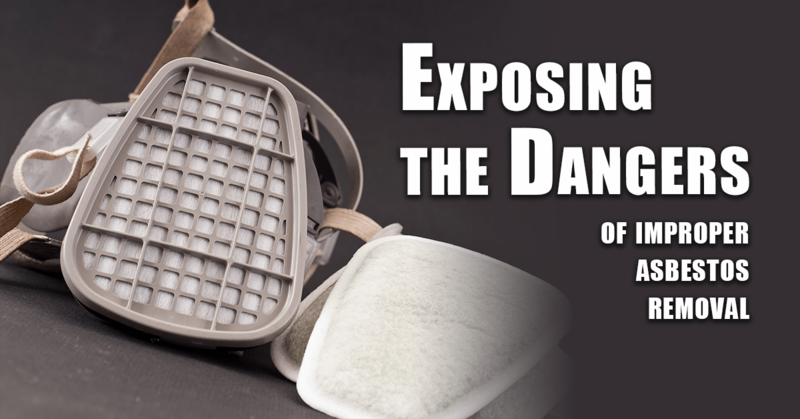 It is no secret that asbestos is dangerous. However, time and time again, negligent actions are amplifying the dangers to others. Asbestos, which was commonly used as insulation on older houses, can produce airborne particles that when inhaled can lead to lung damage. When asbestos is removed improperly or discarded of in improper ways, the hazard elevates and extends to the greater population. Luckily, those who are committing the careless acts seem to be getting away with it less and less. Take for instance the recent case of a Pittsfield, Massachusetts homeowner who hired a man to remove boiler pipe insulation from their home in 2016. The man had no qualifications to do so, and the Massachusetts Department of Environmental Protection (MassDEP) enforced a $27,100 fine against him after investigating the case. The perpetrator didn’t have a contractor license for asbestos removal, and did not notify the DEP prior to the work occurring, as is required. He then proceeded to remove the asbestos from the home without taking the necessary steps to prevent the spreading of airborne particles. After the incident, a certified firm conducted a proper asbestos abatement under the oversight of MassDEP. Michael Gorski, director of MassDEP’s Western Regional Office in Springfield, said in a statement: “It is essential that asbestos abatement be performed by a licensed contractor to ensure that there is no risk to human health and safety or the environment.” Gorski also recognized that in this case, the elderly homeowner was taken advantage of by the asbestos remover, under false pretenses that he was qualified to do the work when he indeed was not. Banner Environmental’s team of trained and licensed asbestos abatement professionals can assist you with your next home project if you suspect asbestos to be present. Contact us for a free consultation and assessment.